Hydrotherapy treatment involves moving and exercising in water. The warm water relaxes tight muscle groups, eases stiff joints and is helpful for individuals with neurological conditions who cannot comfortably exercise on land. At Lillington House, we have an on-site hydrotherapy pool for those residents whose conditions require it. Helen Ley residents also have the opportunity to use the hydrotherapy pool. 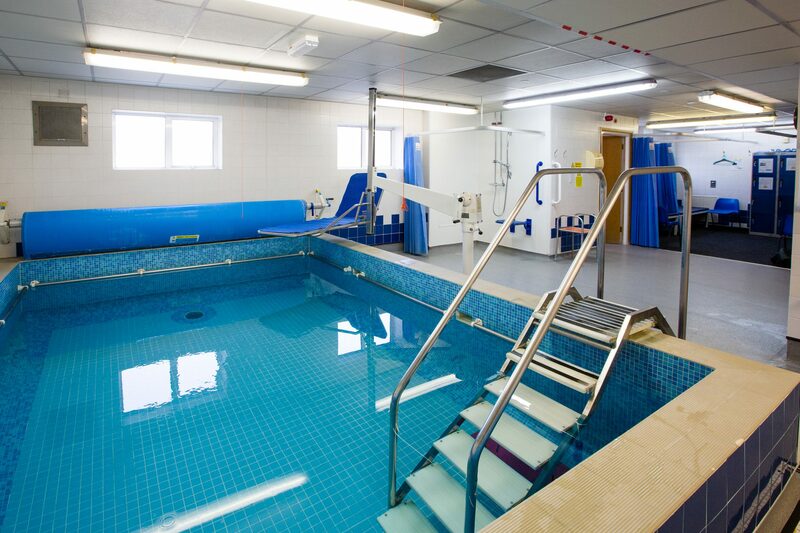 Hydrotherapy treatment programmes vary dependent on our residents’ conditions but generally utilise the properties of water such as increased buoyancy, resistance and turbulence to help each resident achieve their goals. Residents do not need to be able to swim to enjoy the benefits of hydrotherapy. We know the benefits hydrotherapy can have – from lower back pain, orthopaedic surgery recovery, acute stages of neurological conditions and to improve general fitness. At Castel Froma Neuro Care, all new outpatient hydrotherapy clients have a one-to-one land based session with one of our physiotherapists to assess suitability for the pool, followed by a one-to-one water session. We then offer the choice to continue one to one sessions or to join a ‘medical swim’ session to continue exercises in the water independently. Most of our Castel Froma Neuro Care physiotherapists are CSP and HCPC registered and are trained in Aquatic Therapy under the ATACP. If you think you or a loved one could benefit from hydrotherapy at Castel Froma Neuro Care, please contact us to find out more. Respite care gives families and carers the opportunity to re-charge their batteries, safe in the knowledge that their loved ones are receiving high quality nursings.